"Cynthia is the rarest of beings, someone who not only lives in the Light but also is the Light and is grounded enough to share her wisdom and healing gifts with the world. 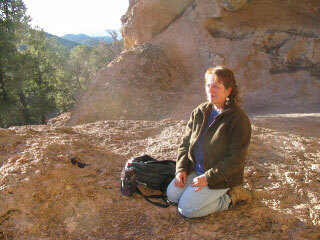 She has devoted her entire adult life to exploring and mastering a number of spiritual disciplines. Interacting with her has been an extraordinary gift for me. So much knowledge, so much love, always enlivened with her gentle sense of humor and laughter. The world is richer because of Cynthia’s mission and so am I. " "Cynthia Lane is one of the most remarkable healers I have ever worked with. She has the ability to take one into the "Absolute", become completely re-wired, and return to one's life renewed, rejuvenated, and more deeply embodied in one's own unique Presence. "Her ability to hold space during these remarkably transformative times is nothing short of a miracle. I have experienced many true miracles working with her, and have released old blocks and patterns that no longer serve, as well. She is a wise woman, very humble, yet she radiates the light of pure consciousness. Anyone would be blessed to work with her and her healing magic." "What can be said about one who so simply enlightens, easily enlivens, and gently guides? Always and only Awake, fully Present, in deep in Aliveness, Cynthia is such a One for sure! She is a vast treasure, a simple sage, and a wise woman beyond all measure, whose many gifts of grace I treasure. "Mentoring with Cynthia, I sometimes arise beyond my mind on a widening river of nothing known, and there is Wisdom. Or, I might land within my warm animal body, or some other cosmic sea of something, and there is Being. But then, inside my heart, an explosion of Light on an infinite ocean of Love, and I know I am awake inside of everything. "Maybe the deepest mysteries unfurl like a river, open on a sea, and rest as open ocean; I can’t say for certain. What I do know, what I can say, is this: It is good medicine to see and be seen in this way, and I am grateful for Cynthia’s many, Many gifts of guidance." "Cynthia's unique combination of expansive, divine perspective and down-to-earth humanity creates deep trust and invites soulful collaboration. In a session, her radiant light shines through gifts of vision, wisdom and loving compassion to bring me clarity, comfort and a more powerful inspiration to fully embrace Life's magic." "Cynthia Lane is a masterful presence who lovingly supports, guides and holds the space for the wonder of the Divine, that is you, to make itself known. She is a true gift to this planet!" "Cynthia is the person I call whenever I need help or clarity with the most intimate, vulnerable and important parts of my life. She understands the emotions and confusions of human life and has great wisdom in the ways of healing. I completely trust her words and truths, because she comes from a deep place of knowing and sees people in the wholeness and beauty of who they really are. She inspires me by reminding me of my true nature and gently guides me to a place of alignment with that source." "Cynthia's Mentoring program has brought me from living life in my head to my heart. I am profoundly connected to my unique Self, which has created a joy and freedom I didn't know was possible. The gifts I am discovering and receiving are beyond words. She has incredible wisdom, taught with patience, love and gentle guidance. A big surprise has been that transformation is possible from Being not doing. I highly recommend her program to all." "Cynthia has the unique gift of being able to assist anyone in reconnecting to their own divine presence or divine Self. After a visit with her, I am totally uplifted in spirit, mind and body with a new perspective on everything." "Cynthia has brought a new level of understanding to me as far as who I TRULY AM The everyday stuff—the hurts, the insecurities, the deficiencies, the challenges we are faced with—begin to pale as we are reminded, and worked on, to be the beautiful light beings that we are. She has the gifts to move us forward in our evolution and I am forever grateful. " "When working with Cynthia, I feel complete trust, allowing me to be fully open to divine gifts of healing. I have experienced energetic changes happening within me. Because of Cynthia's ability to be a pure and powerful conduit of divine love and healing, I am stronger and more whole."